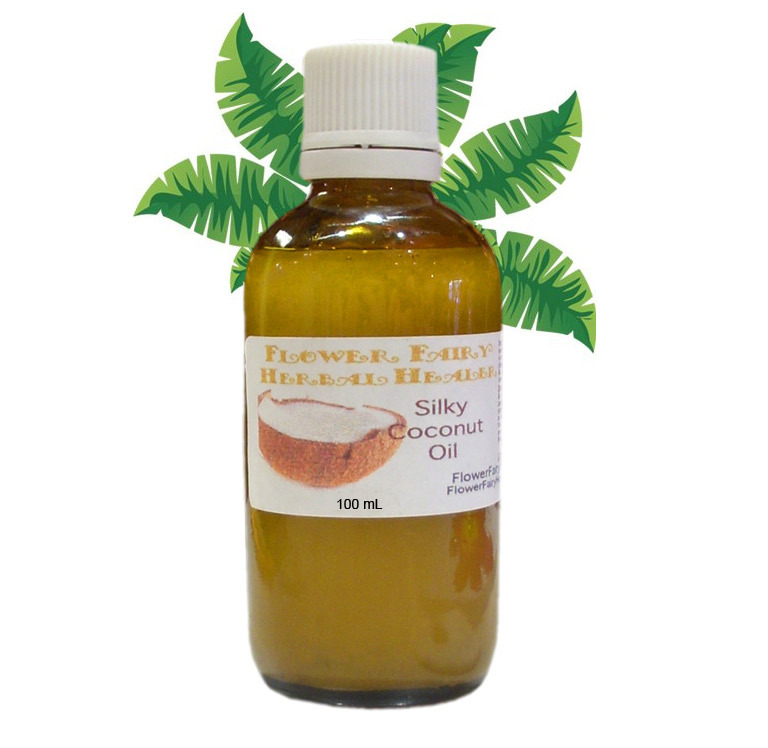 Directions: An exotic, sweetly scented and nourishing oil to make hair or skin more silky, soft, smooth and vibrant. Use as a hair oil, a body oil or rich massage and moisturizer oil.To protect, nourish, soften or moisturize. A natural way to soften skin and hair. This may help increase the hair’s shine and smoothness naturally. Highly refined coconut ingredients are commonly used, and can be found in expensive hair-smoothing products. Directions: Use warmed or in its liquid form on skin or hair to moisturize and protect. It helps make skin and hair silky. You just need to use a small amount between hands and rub on wet or dry hair to increase hair’s shine and smoothness naturally and to help with fly-away or frizzy hair. For extra hair conditioning use a larger amount overnight and shampoo out the next day. If it is in a cold environment, it may need to be run under warm water to re-liquidify.To extend shelf life store in fridge.